Let’s face it, marketing and advertising is harrrrrrd on our brains and our psyche! You put on the calming music, or do a little desk yoga – but be real – it don’t work. Hold up- there’s hope yet. 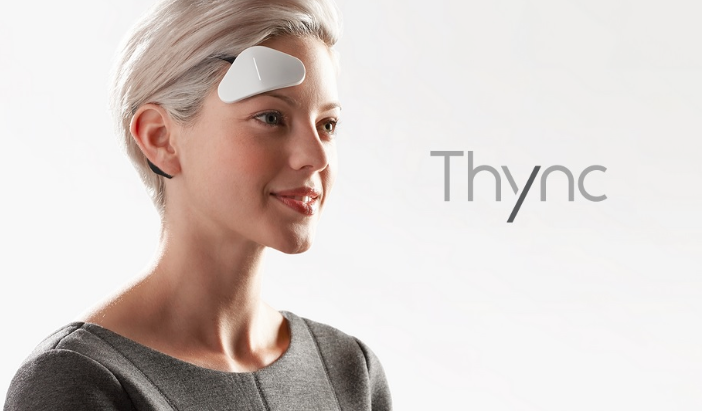 Thync headset, a neuro-simulative wearable is designed to gain calm and/or energy! The headset uses electrical currents to ping the brain (at least that’s the best we can understand) to achieve the desired outcome. Oh, and naturally it’s control panel is your Smartphone. Sounds like the effects vary, but if they can figure out how to calm all of us nutty advertisers down – well – that’s a million dollar idea!